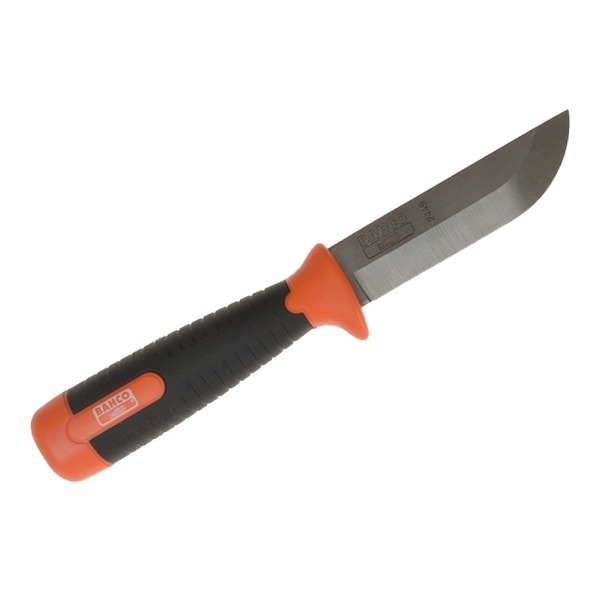 The Bahco curved blade wood knife is a built for one thing - heavy-duty wood wrecking. With its super-thick spine (approx. 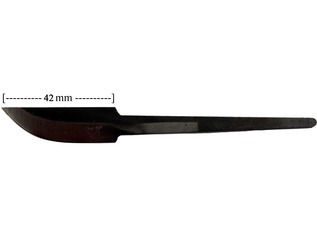 5mm) this is a knife that can withstand an awful lot of abuse in both the field and workshop. 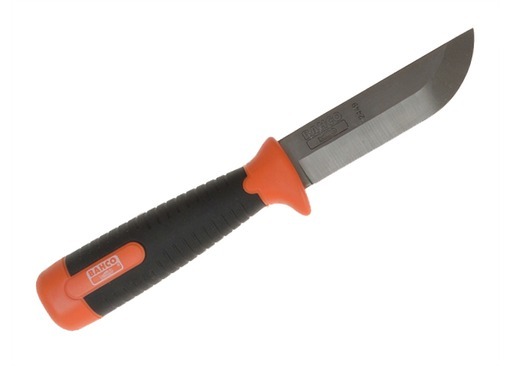 Use it as a chisel with a hammer (yes, you can strike the steel blade and handle!!! 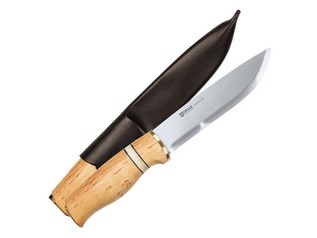 ), in place of an axe, or just as a super-strong bushcraft knife. 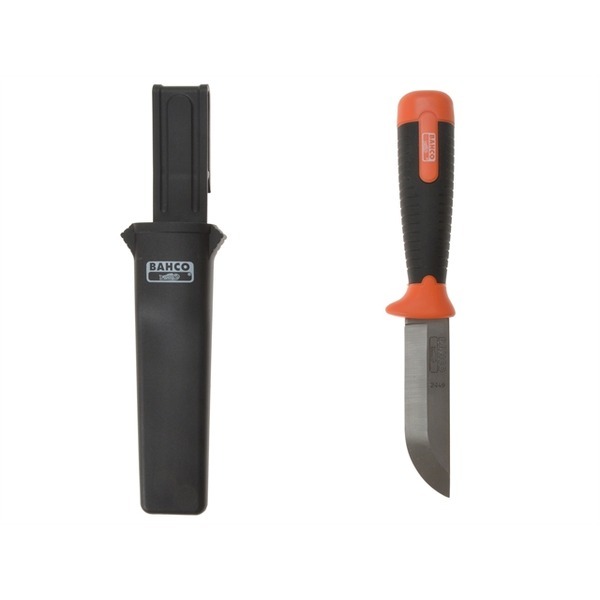 The Bahco wood knife offers a rubberised grip and knuckle protector and comes complete with a sheath. 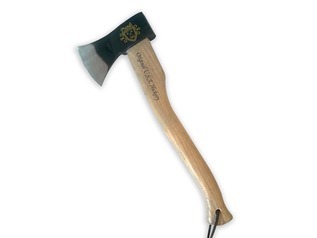 Perfect for splitting wood or demanding carpentry jobs. 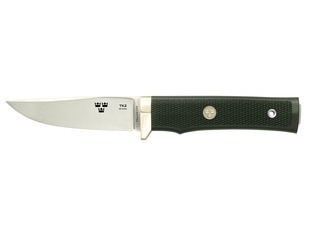 "Tough as hell knife that will make short work of anything you throw a it. I use mine for battoning and splitting small logs. I've had no problems at all. The knife keeps it's edge very well indeed and is also easy to sharpen - a great knife, if like me, you tend to abuse your tools!" 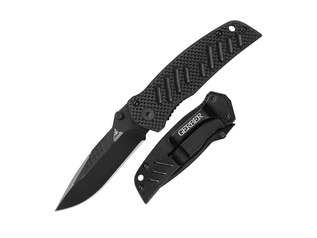 "Knife arrived lose in the box with the point bent over. Very poor steel which is very soft and the slightest contact with any knots will render the blade blunt if not bent over. In my opinion it was a waste of money. 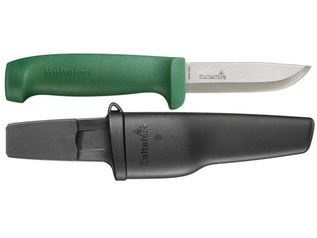 Disappointing as with this thick a blade I hoped it would make a good bushcraft knife at a sensible price. You`ve been warned. "